When you’re looking to stand out on the road, our vast inventory of new and pre-owned premium Porsche models at Beverly Hills Porsche is your source for the latest in luxury and sport driving. Our new Porsche roadsters, coupes, and SUV models offer you various body and driving style to suit your exact driving tastes. Whether interested in test driving the latest models or Porsche certified maintenance and care, drivers who are looking for premium vehicles and service in southern California can discover our comprehensive services and models at Beverly Hills Porsche. Discover pure sports car driving near Beverly Hills, West Hollywood, Brentwood, and Marina Del Rey with our latest Porsche models including 718 Boxster, 718 Cayman, 911, 911 T Coupe, Macan, and Panamera models. Own the road with our new Porsche Panamera and Cayenne models complete with all-wheel drive to handle changing terrain and every turn in the road with durable capability. Drivers can also rely on the premium features of our Panamera and Cayenne models with high-tech amenities including parking sensors and a navigation system so you can easily find your destination and slip into that parking spot. Drivers can explore top Porsche models that are as efficient as they are high-performing. Explore our E-Hybrid, S E-Hybrid Platinum Edition, S E-Hybrid AWD, and Turbo S E-Hybrid Sport Turismo Cayenne and Panamera models for fuel-efficient powertrains to make the most of your daily commute. Our versatile hybrid models offer a range of driving ability for those looking to fuel up less in a premium, classic Porsche model. Those looking to make a smart investment into a premium Porsche can look to our pre-owned inventory for high-quality popular Porsche models at a lower cost. Explore our website or come in today to test drive our ever-changing selection of pre-owned Porsche roadsters, coupes, or convertibles. We also offer drivers certified pre-owned Porsche models. These premium pre-owned models are ready to perform to Porsche-standard style, having passed a multi-point inspection by our factory-trained technicians. Contact or visit us today to learn more about the additional warranties, services, and coverage that comes with a certified pre-owned Porsche model. When you’re on-the-go, you can rely on our expert Sales professionals to provide hassle-free financing on our entire inventory of Porsche models. Drivers near West Hollywood down to Manhattan Beach can visit us at Beverly Hills Porsche to find great financing offers on our select Porsche inventory as well as our multiple auto-financing options. Visit us today to speak with our Sales professionals to determine whether buying, leasing, or applying for an auto-loan is right for you. At Beverly Hills Porsche, we work with you and your individual driving needs to connect you to the best leasing or monthly payment terms possible for your personal budget. Drivers can continue to rely on us for many years to come for quality Porsche service. Our Service professionals are factory-trained to provide optimal service for your select Porsche vehicle. Whether you’re looking for a routine maintenance check, larger auto repairs, or simply looking for the latest Porsche accessories, our service center is your source for high-quality, factory grade Porsche parts in Beverly Hills. Contact or visit us today to learn more about our current inventory, exclusive specials, and services. 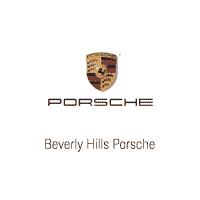 We look forward to discussing your specific Porsche needs with you at Beverly Hills Porsche.